Under the auspices of the Municipality of Kea, the Laboratory of Marine Geology and Physical Oceanography of the Department of Geology at the University of Patras, and the Association of Recreational Divers “TETHYS”. When in September of 2008 the Kea Dive Expedition team began to dive and explore the up to then”Unknown Shipwreck of Kea“, two scenarios were at play about the possible identity of the ship which we would encounter. These scenarios, as often happens in research, were to be proven erroneous or at least incompatible with the factual and “non-concealed” historical data eventually brought to light by our team. While one would expect that our off-the-mark expectations would disappoint us, this was not the case as the sea bottom of Kea proved quite generous to us. Instead of either of the anticipated shipwrecks, Kea offered to us something much larger, more complex and special. Kea’s waters endowed us with a ship which originated not only from the forefront of the steam era, but also a ship which was directly connected with the historical evolution of transatlantic maritime travel, a participant of the quest for the speed trophy, entwined in the races among the large ocean liner companies for being the «first», at a period of vast immigration flows from Europe to the Americas. The luxuries of first class passengers, the poverty and hopes of the uprooted “Steerage class” crowds who searched for a new promising future on the other side of the Atlantic, the loneliness of the vastness of the ocean, the whiz and whirl of busy ports and about the “other end”, the agony and death, all expressed through the Great War, not the Second WW but the First Word War which is assumed that, for some, was a more humane one since humanity had not as yet lost even the last remnants of its innocence. 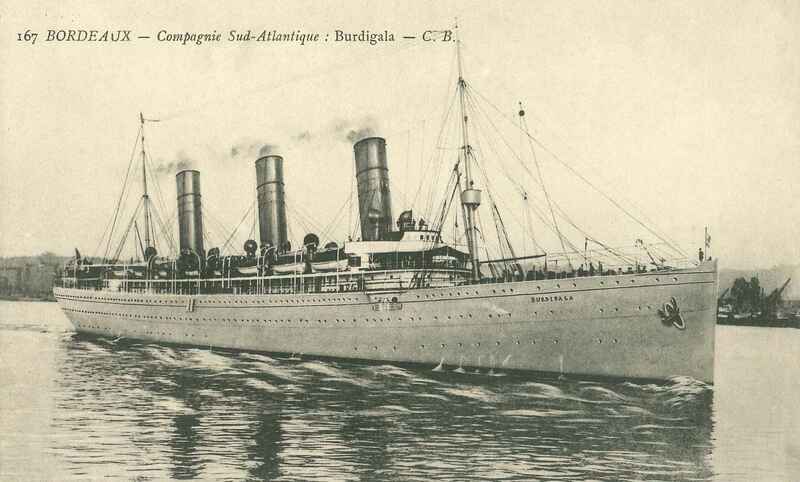 The ship which we identified at the bottom of the Kea Channel was the S/S Burdigala, better known as the S/S Kaiser Friedrich, a name ranked in the history of world ocean liner shipping as one of the most beautiful and yet unfortunate ships ever. 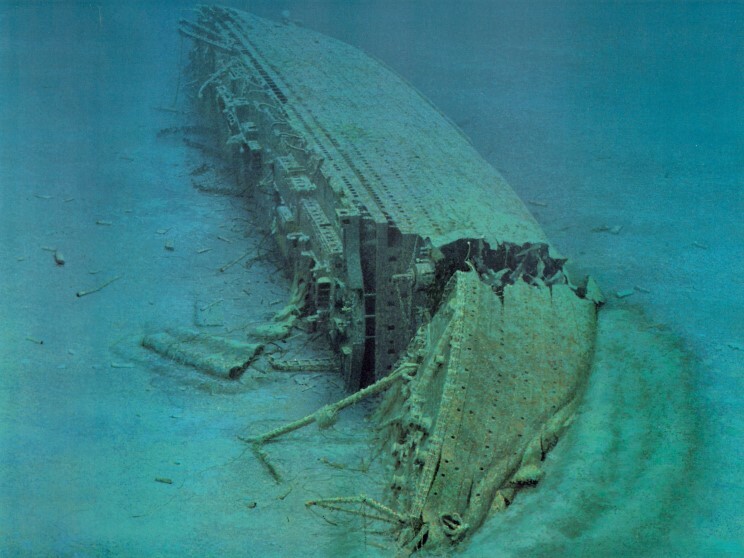 With a length of 183 meters, width of 19.4 m. and 20,480 Gross Registered Tonnage, inaugurates herself as the second largest historical shipwreck which has been discovered in the Greek seas, after the HMHS Britannic. Coincidentally the common ending of these two vessels, together with the common cause of their sinking and their chronological and geographical proximity of less than 7 days and 2 miles apart- make them integral pieces of a sea bottom grid which is still visible in the crystal clear waters of Kea island in Cyclades, Greece. Our team, in addition to field research by side scan sonar and dives in the area of the S/S Burdigala shipwreck, has also followed the historical traces of the ship by thorough research work in libraries, archives, magazine articles, personal collections and museums. In this “historical dive” we found support and assistance from many researchers and other individuals, which are thankfully noted in the Acknowledgements page of this website. The results from our investigations, in one hand have shed ample light on many obscure aspects of the ship’s history, but on the other hand, have posed new questions which are in turn awaiting to be answered. Having collated the pieces of a vast historical puzzle, we decided to include a wide array of information in the form of time-tables of historical events, photo albums, period pictures and documents. It is an attempt to simulate the history of the ship and portray her two identities, namely that of German S/S Kaiser Friedrich and the subsequent French one of S/S Burdigala. The results from our efforts are rendered through this website, titled “S/S Burdigala Project”. Apart from the presentation of the research data up to now, our additional aim is to create a central hub which will serve as a reference point coordinating the efforts of those who are primarily interested to further highlight the history of the ship combined with her current physical status. Such include one of the most rich and alive “shipwreck reefs” which adorns the sea bottom of Kea. We hope that our contribution will assist all those interested in history, marine biology, ecology, diving and seafaring. We would be looking forward to a creative collaboration with those who will visit the wreck in the future, so that whatever new data obtained will be assessed and integrated into the existing material gathered so far, highlighting even further the historical aspects and addressing open questions which are still obscure or debatable. 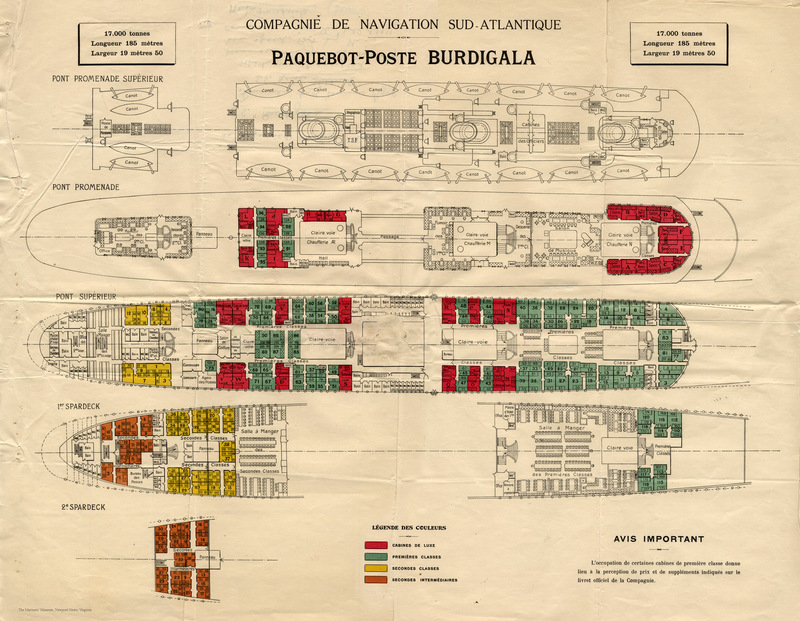 Provide concise information with historical data, historical images, historical photos, accommodation plans, historical documents, newspaper articles, passenger lists, bibliography and historical research results, for all those interested in the history of S/S Burdigala. Provision of diving supplements, such as topographic maps of the layout of the shipwreck as well as about wreck sections which have already been investigated, assisting groups of divers who plan to visit the sunken vessel. Aggregation of all volunteered information, pictures, documents, videos, articles and anything else which could help even further the documenting of the shipwreck; to assess and filter such via this website. Referencing and describing of new dive missions and their results, research or other. Seeking ways to optimize this great shipwreck aiming to preserve and protect her. Exchange of views, information and messages via the appropriate areas within our website. Compilation of a database with all updated photographs of the shipwreck. Compilation of a benthic photographic database, documenting the marine species encountered in the adjacent marine ecosystem. Presentation of articles about the benthic biodiversity of the area of the shipwreck. The team of the “S/S Burdigala Project”, believes that a cooperation among all parties who love the sea, diving, history and marine biology, is likely to highlight not only the sinking of the S/S Burdigala but to also enhance all other historical shipwrecks of the Greek seas, “resurfacing” them to their deserved historical but also their biological references. We also believe that the preservation and protection of shipwrecks are serious contributing factors toward a partial regeneration of marine wealth in the Greek seas, repositioning them once again to a sphere which currently can be seen only through the narratives of few vanishing elders. We can only hope that our beliefs will be shared by the entire diving community. The team of the “S/S Burdigala Project”. Unauthorized copying is prohibited by law. Violations can lead to civil and criminal prosecution. All rights reserved. 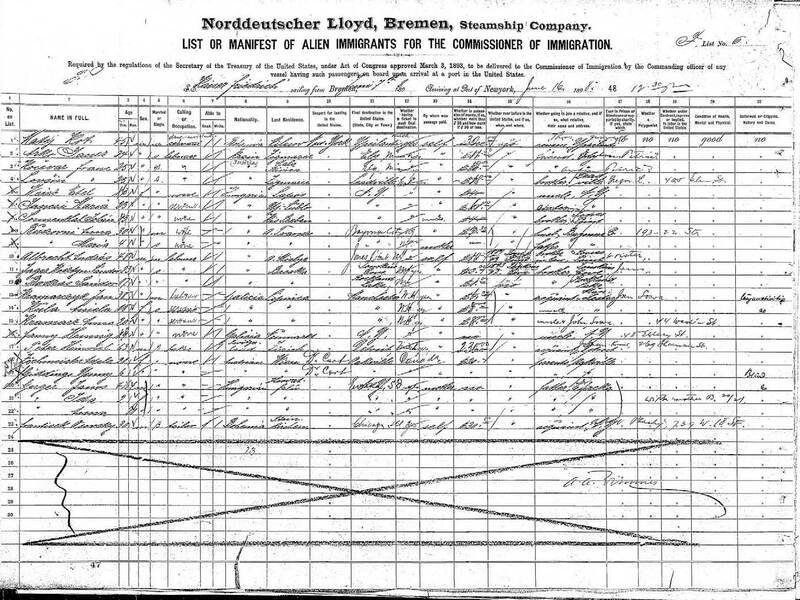 No part of this labor may be reproduced, translated, stored in a retrieval system, or transmitted in any form or by any means, electronic, mechanical, photocopying, or otherwise, without the prior written permission of D. Galon and the S/S Burdigala Project Team. Content appearing in this web site designated as “KFB Collection”, has been collected, acquired, produced, or purchased by members of the S/S Burdigala Project Team.